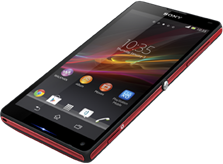 Sony has announced their latest Smartphone the new Sony Xperia ZL, Smartphone has been put for pre-orders in United States. Xperia ZL will sale for $759.99 LTE version while for HSPA+ version will sale for $719.99. You can Pre-order Sony Xperia ZL from the official Sony Store although Smartphone will shortly be made available in other online stores too.